Une batterie au plomb "comment ça marche ?" et/ou "mais comment c'est fait ?" 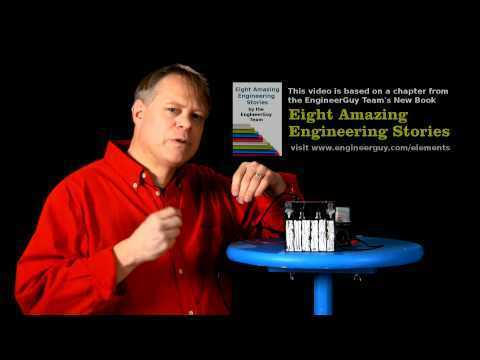 Bill explains the essential principles of a lead-acid battery. He shows the inside of motorcycle lead-acid battery, removes the lead and lead-oxide plates and shows how they generate a 2 volt potential difference when placed in sulfuric acid. He explains how the build up of lead sulfate between the plates will make the battery unusable if it discharged completely, which leads him to a description of how to make a deep cycle battery used for collecting solar energy.